The 'Big Ticket Draw' held at Abu Dhabi International Airport on Thursday is the largest and longest-running monthly raffle draw for cash prizes and dream luxury cars in the UAE capital. The Big Ticket Draw is a monthly mega raffle draw. Dubai: Eight Indians are among 10 people who hit a jackpot by winning a whopping dirham 1 million ($2.7 lakh) each in a mega raffle draw in Abu Dhabi. Besides Indians, the winners include a Canadian man and a Filipina, the only woman in the list. "Currently, I don't have any plans for investments but once I receive the money, I would plan. I am excited," said 43-year-old Chandresh Motivaras, a chief accountant with a jewellery group in Dubai where he has been living since 2005. "I didn't believe when I got a call and thought that somebody is joking with me. But when I got a second call from the organisers, I was pleasantly shocked," Abhaya Kumar Krishnan, a purchasing manager at Spinneys' in Abu Dhabi, told Gulf News. The 49-year-old Keralite, who will share the money with a friend as they bought the ticket together, said he was planning to spend some portion of the money in charity in Kerala for education, the report said. 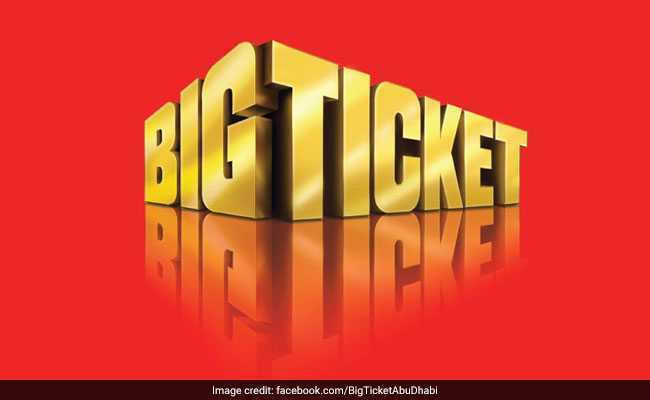 "I had bought the ticket but I didn't know that today is the draw date," said the Abu Dhabi-based Krishnan, who had been buying tickets for the last 10 years, but won for the first time. "My niece's wedding is in December so I am very delighted to win this prize at this time," said Sundaran Nalamkandathil, who bought the ticket with a group of 20 people. The 47-year- old jewellery designer has been living in Ajman for the last 24 years.